We were back at beautiful Caversham House recently for their annual wedding open day as part of the Swan Valley Wedding Open Day. We had two tables to display this year and so chose to showcase our most recent collection of vintage dinnerware for the first table. 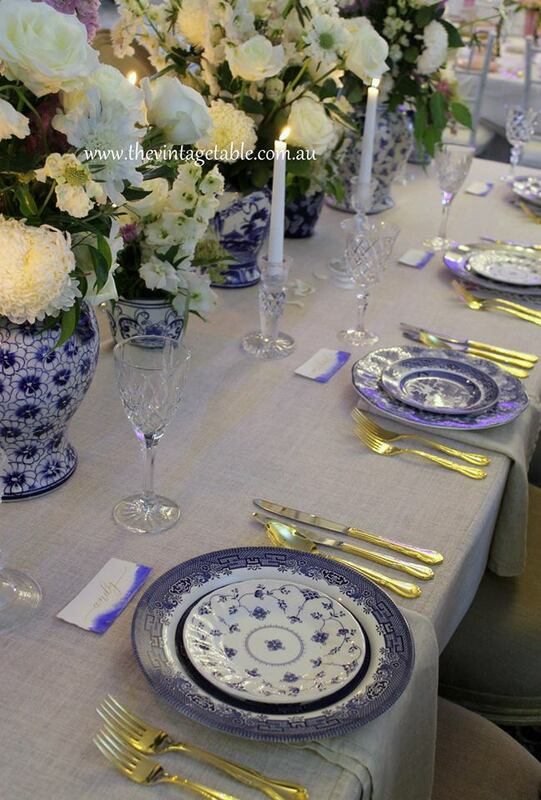 We used our vintage blue and white Chinoiserie dinnerware for a Hamptons style wedding table. We started with Belgian linen napery from Hire Society with their beautiful French Bordeaux chairs. 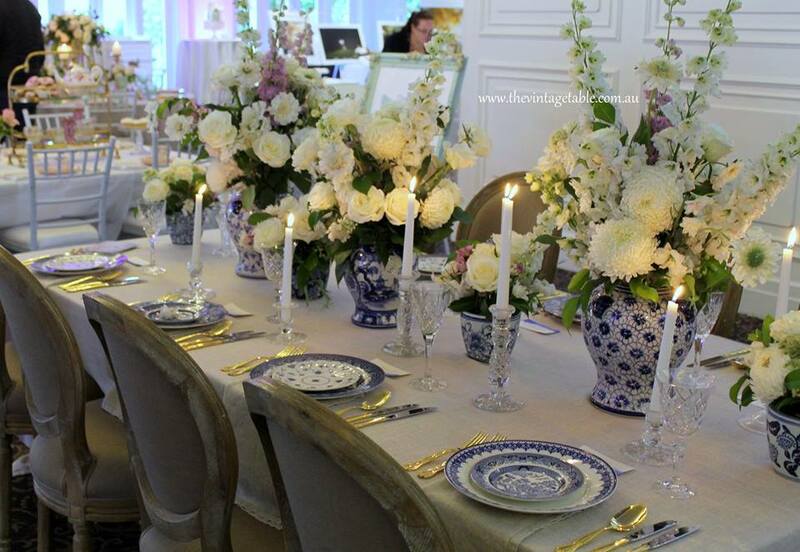 We used our vintage 24ct gold plated cutlery, blue and white Chinoiserie dinner and side plates, vintage cut crystal wine glasses and vintage cut crystal candle holders. 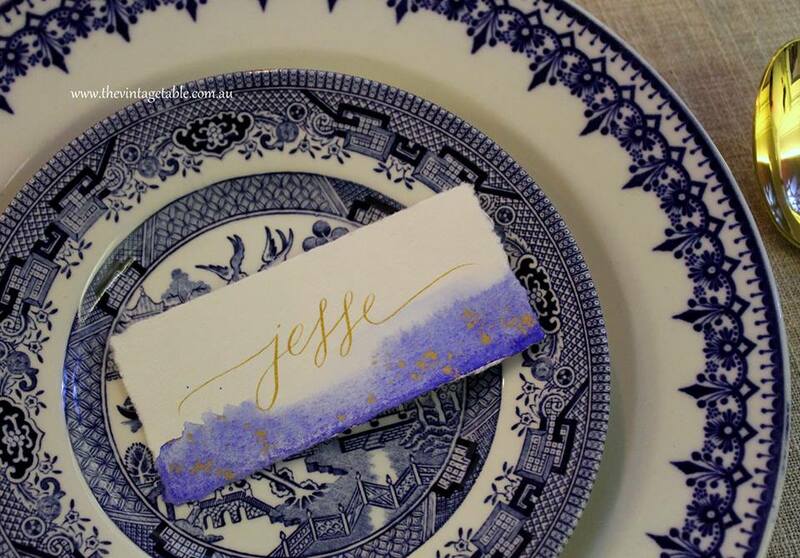 Jessica from Annie P. Paperie provided us with stunning hand made, hand painted and hand lettered deckle edge place cards in cobalt and gold and Kerri of Chandelabra provided all the beautiful white roses and blooms in our new Chinese ginger jar vases. We had another amazing if exhausting day meeting so many brides-to-be and catching up with old friends. Please see our other blog post about our Pink & Gold High Tea display we chose for our second table at Caversham.